O! M!! G!!! You immediately feel flushed and light headed, your stomach suddenly knotting up: you’ve accidentally put ALL your starter into the dough and forgot to save some to keep feeding. There’s no way to get it back out of the dough, it’s now bread and well baked. This is the end of your starter, one of the few ways to actually kill it. Perhaps you’ve been cultivating this starter for several months or even years, perhaps it was even handed down to you from your great gran from the “old country” and there’s no way to get more. You even washed out the jar so you can’t scrape a little batch up from the smears on the sides and continue on. Or maybe a good hearted soul decided they’d do you a big favour one day and clean your fridge of all the old stuff, that bottle of sauce with just a teaspoon left, the lettuce that’s seen a better day, that jar of white goo that smells really weird… all into the trash or recycling and the jars washed up. “See how neat it all is?” they proudly say. Or you have not fired up the starter for a very long time and go to grab your yeasty pet only to find the contents are totally encased in mould. Oh, I hear a few of you chuckle, “That would never happen to me” you say with confidence. Stop chuckling, this has happened to a LOT of people, people who are totally familiar with and have been using sourdough for years, verily, your “pro” home bakers. All of the above scenarios have happened to people I know. An inattentive few moments and there goes that starter you created from scratch several years back, gone. The bread comes out of the oven and tastes great but it is a sad affair indeed because it’s the last you’ll get of old Sam or Punchy or whatever you named you pet starter. 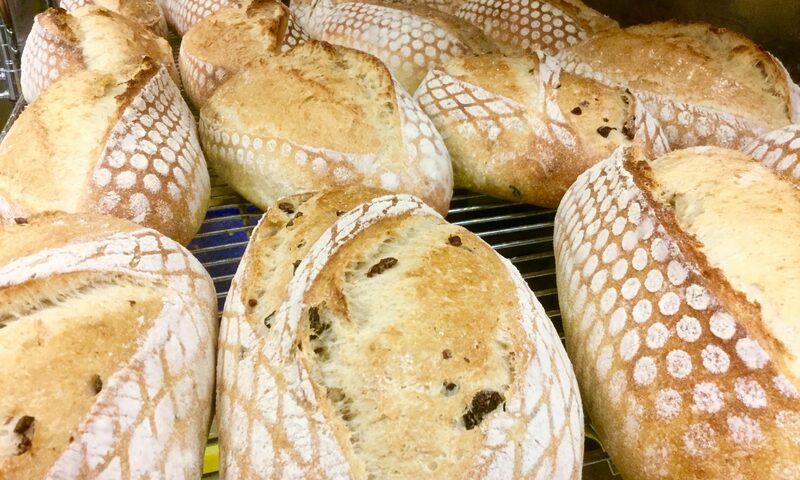 Gone to sourdough heaven. All you can do now is start from scratch. In a few weks, you will have a new starter but it will take a long time before it has matured and developed its own character. And very likely it will be different from ol’ Sam. 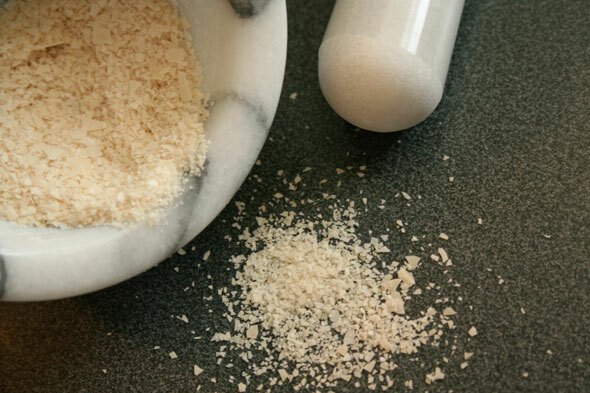 At your next regular starter feeding, set aside some of your extra or, if this happens to be a simple discard feed, put a couple tablespoons of that excess into a fresh jar. Add 20 grams of water, mix well then add 20g of flour. Mix well. Let New Sam sit on the counter and bubble up as normal. Meantime, do a regular feed with the rest of your starter, that follows your normal feeding/refrigerating or baking process. Once New Sam is doubled and clearly active (this may take more than one feeding if it just came out of the fridge) and just reached its peak, brush/spread some out on a parchment, wax paper or silpat lined tray. I used a pastry brush but however you want to do it is fine. You may want to add a little more water to your starter to make it thinner and easier to spread out thinly; we’re not worried about hydration levels here since we’re shortly going to try and get it close to 0% anyway. In all if you used a tablespoon or two of old starter and 20g of water and flour, you’ll have about 1/4c (60 ml) of starter plus whatever water you might have added to thin it out. 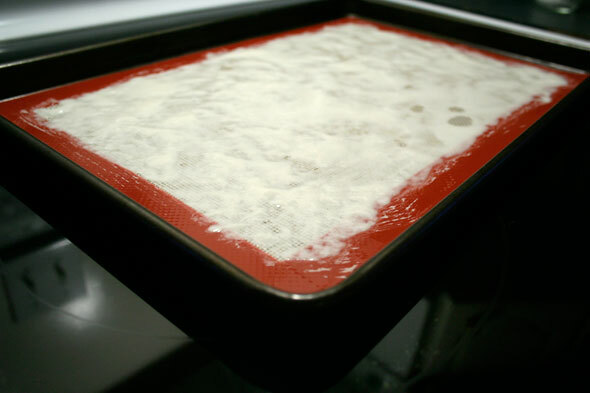 Spread this out on a typical sized baking tray then set this tray aside (hopefully somewhere a little out of the way and not subject to stuff falling onto it) to dry for a day or two or three, depending on the humidity in your area at the time. In a couple of days, the starter film will have dried and begun to flake off your liner. Make sure you leave it out until even the thicker parts are good and dry; if that takes 3 or 4 days, then so be it. You don’t need to make your dry starter much finer. 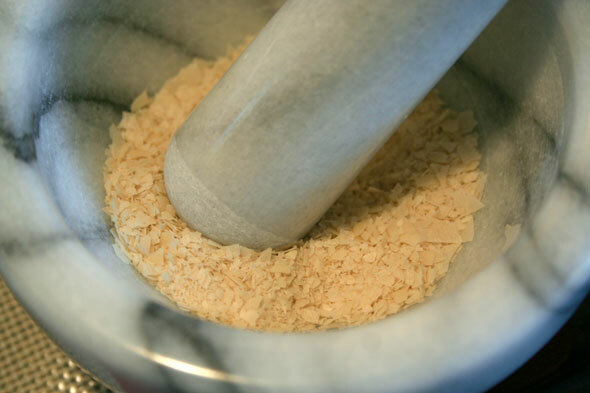 Some people put their big flakes through a food processor or blender to make a really fine powder but that may cause more damage than good to the now dried up yeast and lacto bacteria. We aren’t too picky about small even sized bits here, larger flakes are OK too. Crushing it will just make it easier to store your dry starter and easier to revive it later. 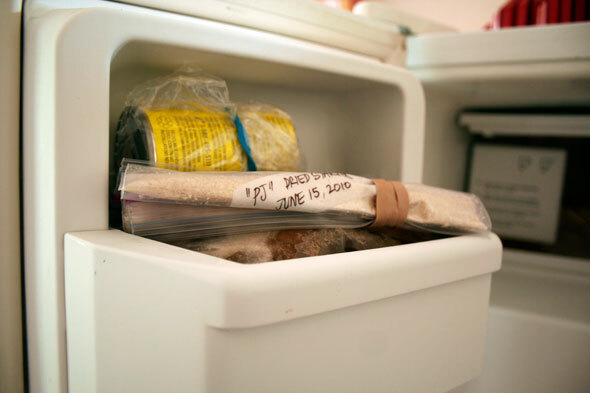 Place your processed dried starter into a zip bag, label it clearly with name and date and store it in the freezer or a cool dry spot. You’ll have about a quarter cup of dry starter which is LOTS. That’s it. 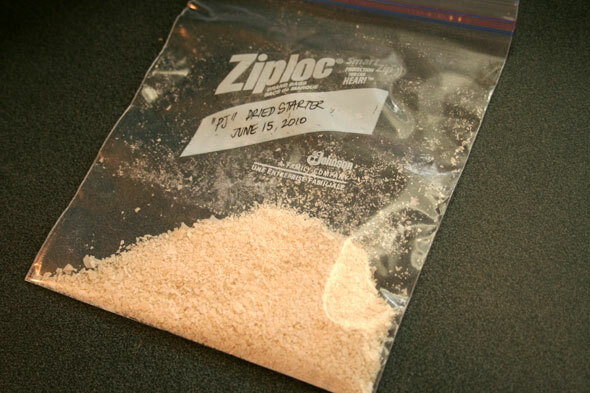 When you dry your starter, you have spare samples of your dear ol’ Sam, frozen in time, which you can revive in the event of an accident or to send a tablespoon to friends by mail. Check out this post for the usual photo journal of this very same starter revived several months later (Jan 2011). How long will the dried starter last? I’m not sure but I found some dried starter from an old (other) starter I’d forgotten about, probably 2 years old now. It had been left out on the shelf, in a plastic bag that developed a large hole (ergo not air tight at all) and near a window so not well stored at all. It smelled a bit off, like flour that had gone a little rancid. But I decided to see if even after this neglect and hardly best storage practices I could get something back. So I did the revival routine and presto, after just a day, I was getting starter activity. It took a couple more feeds to clear out any of the “stale” flavour but once that was done, the starter was active and smelled great. So if this abused starter could easily come back to life a couple of years later, a well stored one should keep and work for at least this long, likely much longer. Avoid heartbreak: dry some starter soon. Thanks, that is probably a prudent idea. Especially for that extended vacation in Tahiti, right? If nothing else this would make a cheap but personal Xmas gifts for those sourdough fans that are on the fence. I’ll do it on my next feeding. Just a question, how log does it last? it would helpful if it could last a few months. It should definitely keep for several months, likely a year and maybe even more though it’s speed in rejuvenating may reduce. But it will still be faster than starting right from scratch. I have just done it. I plan to make a new starter starting from the dry one on September. I will let know know how it works. Fantastic! I definitely need to do this. It will save me from a heartbreaking mistake, I am sure of that!!! Just a note. Paul, I know that you know this but others may not. If you have mixed or otherwise lost the original starter AND you still have some unbaked dough, at whatever stage, you can save some of that and regenerate “great gran’s” starter. Just mix in flour and water to the desired consistency, then refresh as usual. Hi, Paul. 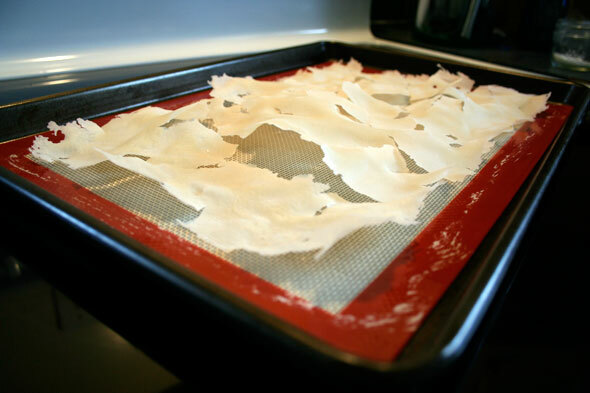 I recently dried some starter (using a different method) and I put a link on my blog for this post of yours. You are a great source of inspiration, and I just love the way you explain things! Pingback: Maia uscata - backup copy | Apa. Faina. Sare. Great article. I lost a starter that I had been maintaining for about two years just as described in your post. A well meaning surprise house cleaner got rid of that foul smelling mess in the bottom of the refrigerator while my wife and I were on vacation. Thanks again ~ great post. Hi from Australia. You really do not need to go through this process. 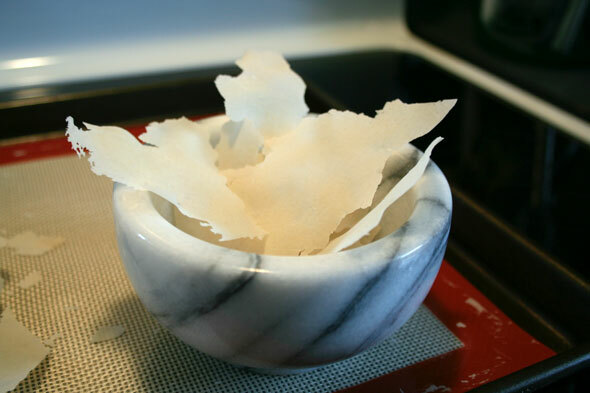 Drying your starter is as simple as adding about 10% starter to dry flour in a food processor… process until you have dry flour. This starter can then be stored in the freezer or fridge until it is needed and re-started by just adding water. You also avoid introducing airborne yeasts into your starter culture. Next PostNext Bialys: Little pockets of Yum!